Kebabs come in a variety of forms, each one creating a different taste experience. Here we provide you with a quick kebab education. 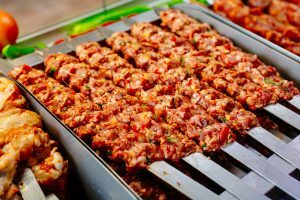 This kebab consists of square cut chunks of meat (lamb, beef, or chicken), which are marinated and placed onto metal skewers. They are then cooked on a flaming grill until they are perfectly done. This kebab originated in Turkey with the word shish (or Sis) meaning the metal skewer that the meat is placed upon. This is a well -known kebab in many countries including here in the UK where the shish kebab is served all over the country. The Adana Kebab is a local dish from the city of Adana in Turkey. It is a minced lamb kebab mixed with herbs and spices, which is set on an iron skewer and then grilled. The Urfa Kebab is made in the same way as the Adana kebab minus the spice kick! It is the ideal choice for those who prefer less heat. The kebab is named after the Turkish city Urfa. Both these kebabs are often served with rice or bread. This is a very popular kebab in the UK which comes from Turkey where it is served as a street food. The Greek term ‘gyro’ and Arabic term ‘shawarma’ arose from the doner kebab. This meat is cooked on an upright rotisserie and served as thin slices which are shaved off. It originates from the city of Bursa. This kebab consists of meat that is cooked in a sauce of peppers and tomatoes. If it often accompanied by pita bread and salad. 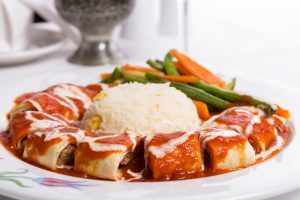 This Turkish dish provides something alternative as it comes with a sauce as opposed to meat grilled on its own. This dish consists of lamb that has been marinated and grilled, placed upon roasted aubergines and natural yoghurt. The complementary flavours create a taste sensation! This is a very popular dish in Turkey and originates from the Gaziantep region. 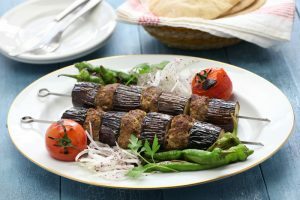 This Turkish kebab contains a mixture of kofte (Turkey’s meatballs) and aubergine. They are placed on skewers one meatball followed by one slice of aubergine and so on. The mixture of flavours creates a delicious dish. This is a very well-known kebab in north west Turkey. It is named after the man from Bursa who created the dish – Iskender Efendi. Thin slices of doner meat are served over hot pita bread. This is then covered with a rich tomato sauce, melted butter, and smooth yoghurt. A delicious, indulgent dish! This is an appetising kebab which contains minced beef and lamb rolled in a light flatbread, sliced into round chunks, placed on a skewer, and grilled. It is served with yoghurt, tomato sauce and rice. This kebab is named after Beyti Guler, the owner of well-liked eatery Beyti in Istanbul. He created a similar dish back in 1961 which consisted of lamb rolled in thin slices of fat and grilled. This kebab is made from leftover cuts of meat. 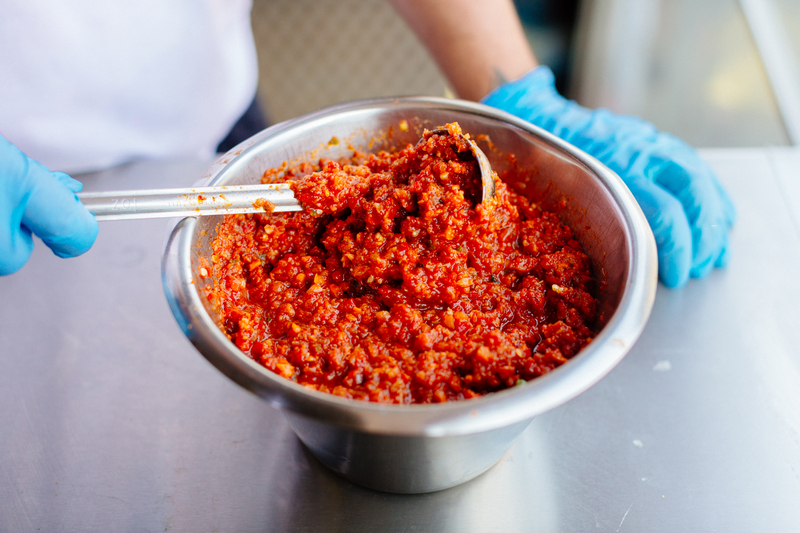 These pieces are ground together with tomatoes and garlic and then marinated in herbs and olive oil. They are then put onto skewers and grilled. This kebab comes from the Aegean region of Turkey and is often served as an appetizer. At Mega Charcoal Grill, we serve the most popular kebab types including shish, adana, doner, and halep. We aim to provide our customers with delicious, authentic kebabs which are cooked in a traditional way over hot charcoal grills. You can choose to have your kebab served with pita and salad or rice. Come and try one of our succulent kebabs today!